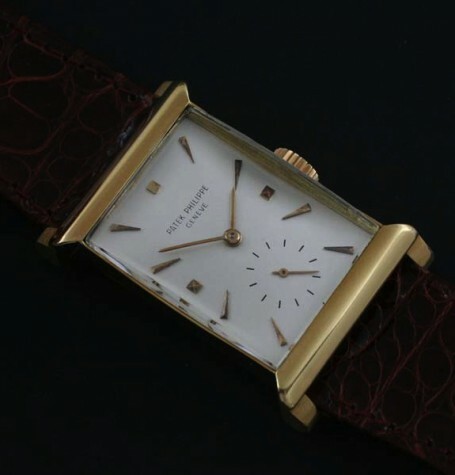 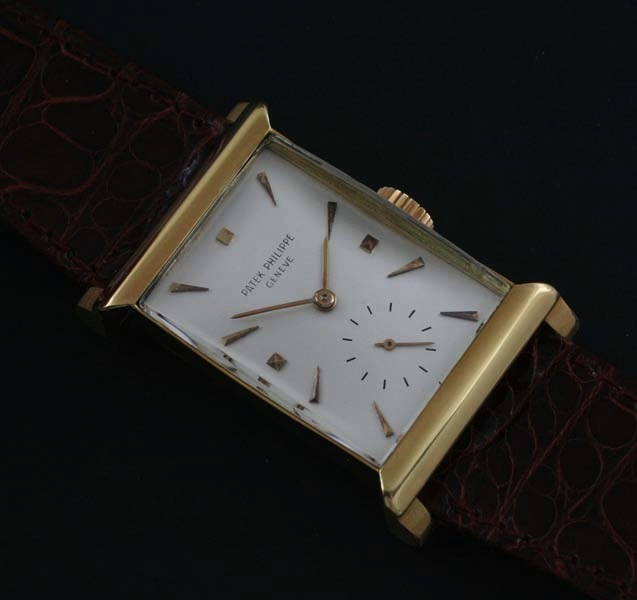 Patek Philippe ref 2404 circa 1954 exotic Pagoda style case watch. 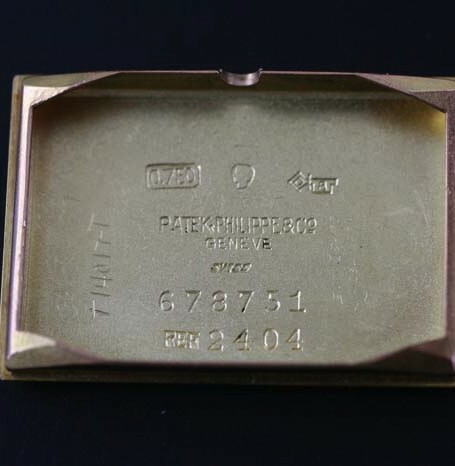 Solid 18 karat gold exotic case. 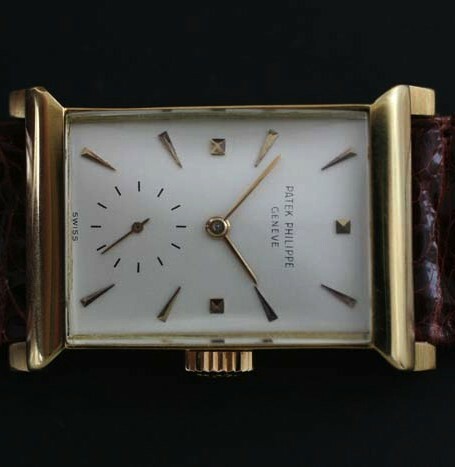 This is a rare watch for a serious collector. This is a very distinctive and rare Patek Philippe wristwatch. 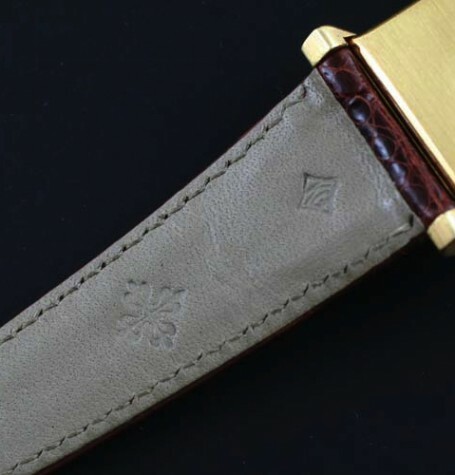 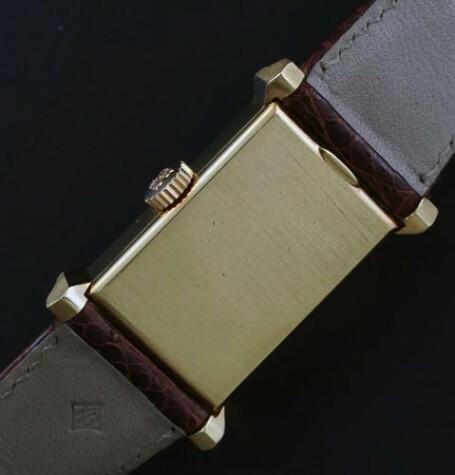 The solid gold case features hooded curved lugs that essentially hide the area where the strap joins onto the case. 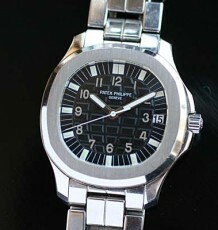 The lugs also flare outward giving a similar profile from above to the famed Pagoda or Eiffel Tower model. 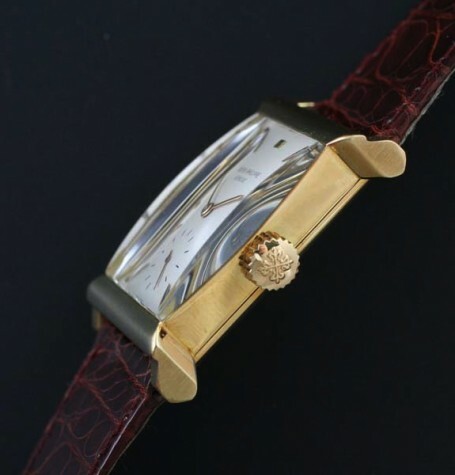 The watch is also fitted with a factory original curved high dome crystal. 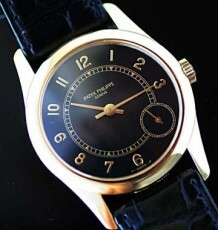 The dial features black enamel text and minute track with yellow gold hour markers set on a opalescent white background. 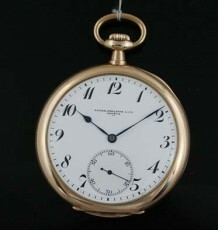 The text, minute and seconds track as well as the markers are all enamel and original to the dial. 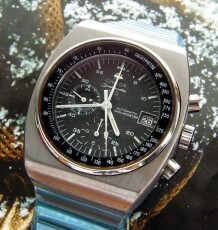 The background paint could have been restored prior to current ownership. 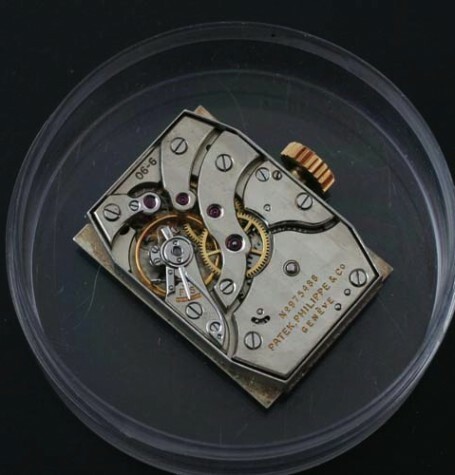 The movement is the famed 18 jewel, 9 ligne tonneau shaped calibre 9-90, also used in the Pagoda model reference 2441. 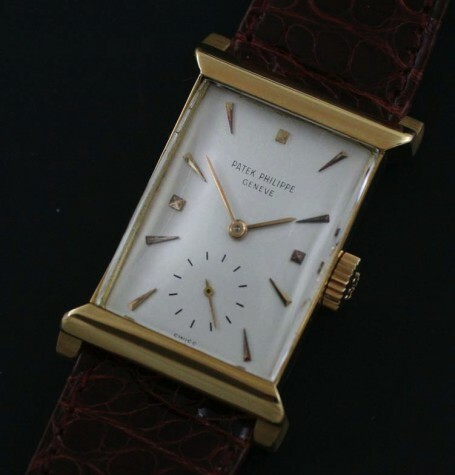 This watch was fully serviced by the former Patek Service centre here in Toronto. 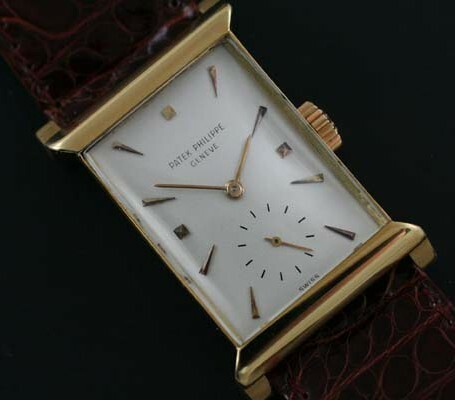 The watch is fitted with both an original Patek signed crown and strap. 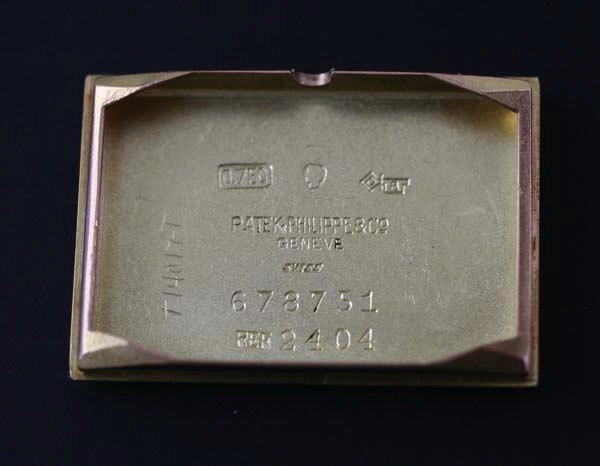 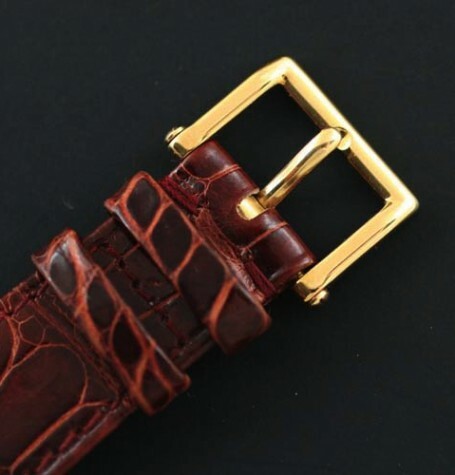 The buckle is also a genuine Patek 18 karat yellow gold buckle. 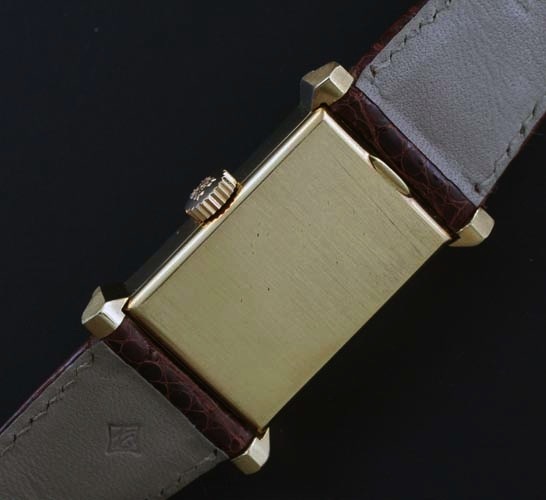 The unusual case measures 25 mm wide at the widest point by 38 mm long. 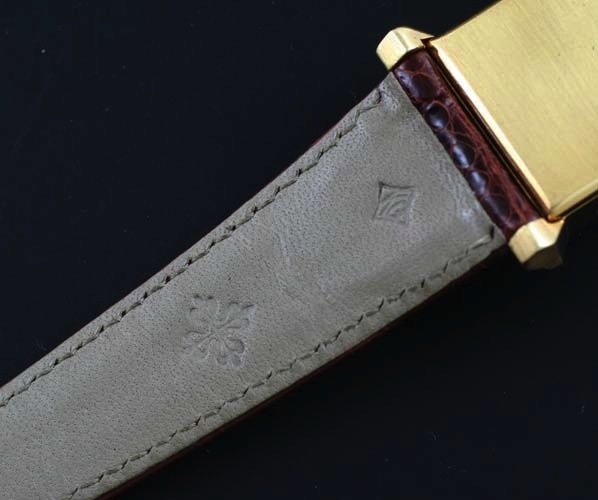 Including the crystal the watch is 10 mm tall. 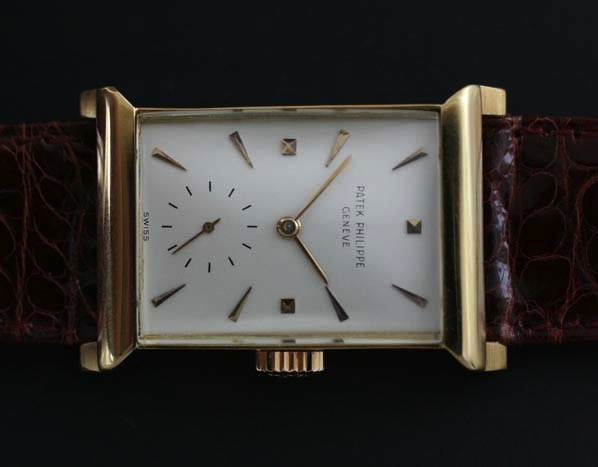 This is a very clean example of a rare watch.